In a Smart City, climate-friendly policies and digital technologies are not enough to achieve significant green targets: it is also a matter of individual and collective sustainable behaviors. enCOMPASS, the project funded by the EU Commission under the Horizon 2020 program, is working to develop a highly innovative ICT platform to facilitate a newer and more effective approach to energy saving. Leveraging smart technologies in residential houses and public buildings, families, office managers, school teachers, utilities and service providers will have the possibility to track their own environmental footprint, adjusting best-fitting actions to save energy while retaining usual comfort levels. Paradox Engineering is partnering with enCOMPASS to make this project real. 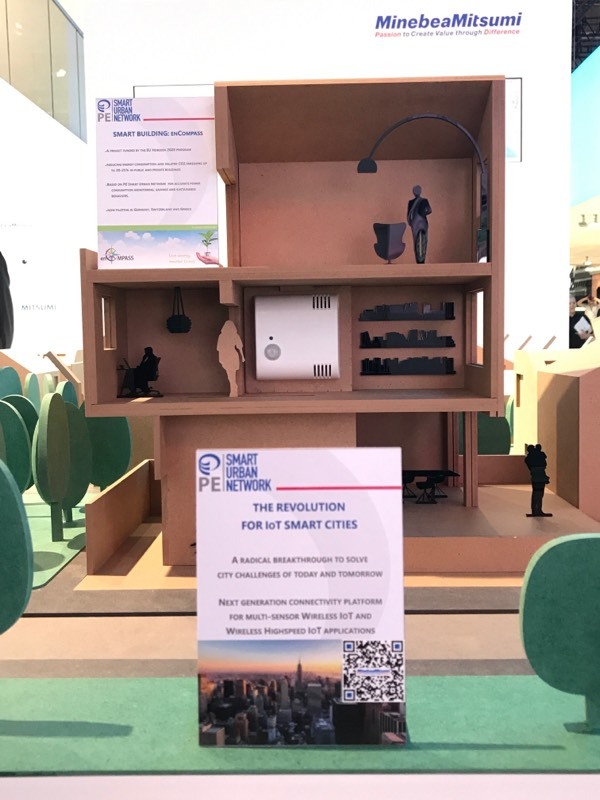 At IAA, we are simulating a truly Smart Building through PE IoT Multisensor Platform, integrating PE Indoor Smart Sensor Node and environmental sensors to measure humidity, pressure, temperature and motion. Data are shown through our software management solution PE Smart CMS, allowing visitors to monitor parameter variations in real time – and find alternative and responsible solutions to their energy needs. Visit us at MinebeaMitsumi – Hall 8.0, booth A04 – to learn more about enCOMPASS and enjoy our demo. #IAA2017 is running in Frankfurt until September 24, 2017.